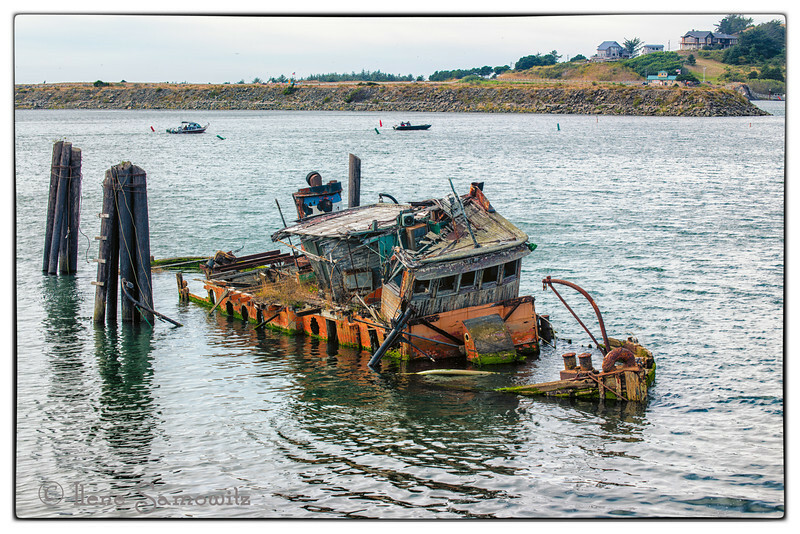 Nice image of the derelict boat, with life on the Coquille River going on as though nothing was amiss. I assume she's not considered a boating hazard or she'd have been removed. This is great Ilene, so lonesome and sad.